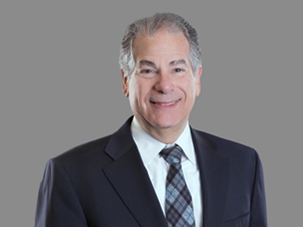 Dr. Lawrence F. Kobak, DPM, Esq., is Senior Counsel in Frier Levitt’s Healthcare Department, working in the Uniondale, New York office. Prior to joining Frier Levitt, Larry was a partner at Kern, Augustine, PC, and at Abrams, Fensterman, Eisman, Greenberg, Formato & Einiger, LLP where he was director of the firm’s Office of Professional Medical Conduct (OPMC) and Office of Professional Discipline (OPD) Defense. Larry has extensive experience representing physicians in connection with licensure issues, as well as successfully defending physicians before Medical Boards, OPMC, OPD investigations, as well as Medicare Fraud, Fraud & Abuse, Hospital Actions, RAC Audits, Medicare Audits, OIG Fraud, Health Care Fraud, Medical Audits, and Health Plan Billing Audits. As a licensed Podiatrist prior to becoming an attorney, he served as the international president of the Academy of Ambulatory Foot and Ankle Surgery. Larry is a fellow of the Academy of Ambulatory Foot and Ankle Surgery, Diplomate of the American Board of Podiatric Surgery, Ambulatory Division, Diplomate of the American Board of Quality Assurance and Utilization Review Physicians, Diplomate of the American Academy of Pain Management, and Diplomate of the American Institute of Foot Medicine.